By the fifth season of Sesame Street, the characters from the show were well known around the country and welcomed guests on the television networks. Ernie and Bert (Jim Henson and Frank Oz) did a bit on The Today Show with one of the regular hosts, Gene Shalit. The conceit was that Bert was joining the show as a new interviewer and Gene would give him some tips. 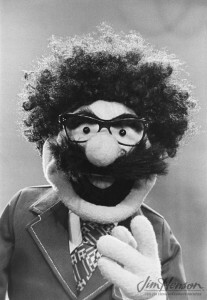 They began with Ernie’s suggestion that Bert disguise himself so that he is not bothered on the street after the show. Ernie explained, “Look at Gene Shalit over there. You don’t think he really looks like that do you?” So, Bert added a Gene Shalit-like moustache and began to interview Ernie who was completely uncooperative. 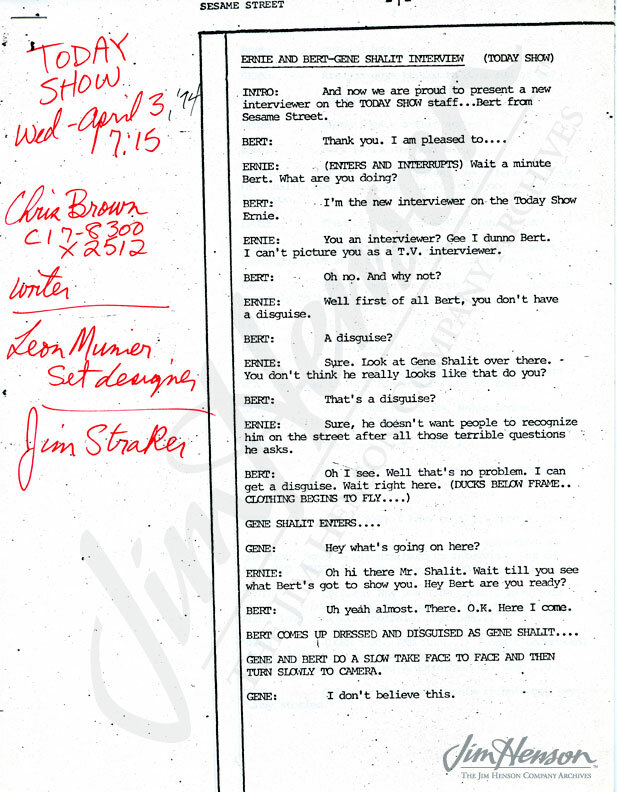 Ernie answered Gene’s questions charmingly, but wouldn’t answer more than “Yes” or “No” to Bert. Finally Bert quit in disgust. 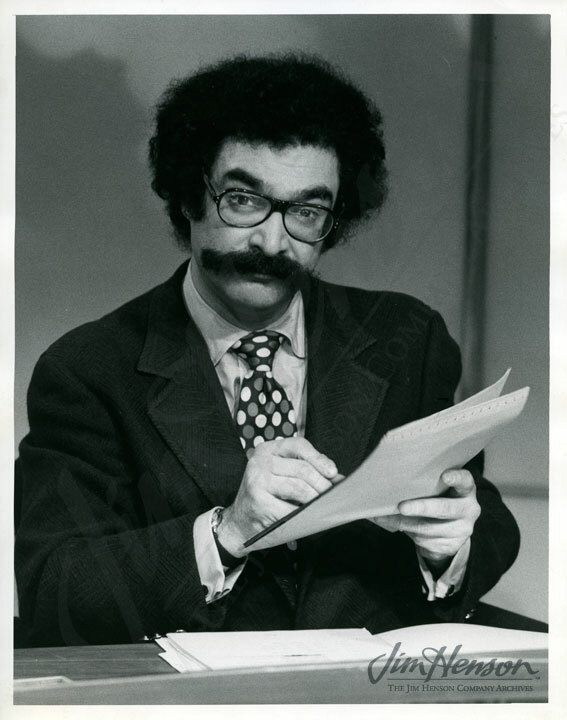 Gene Shalit of The Today Show, early 1970s. 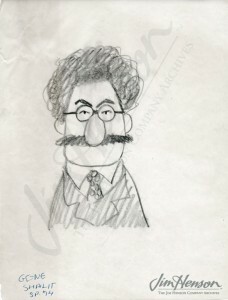 Bonnie Erickson’s design for converting Bert into Gene Shalit. 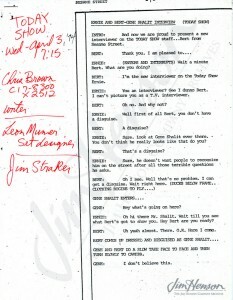 Jim’s script for the Today Show appearance with Bert as Gene Shalit. 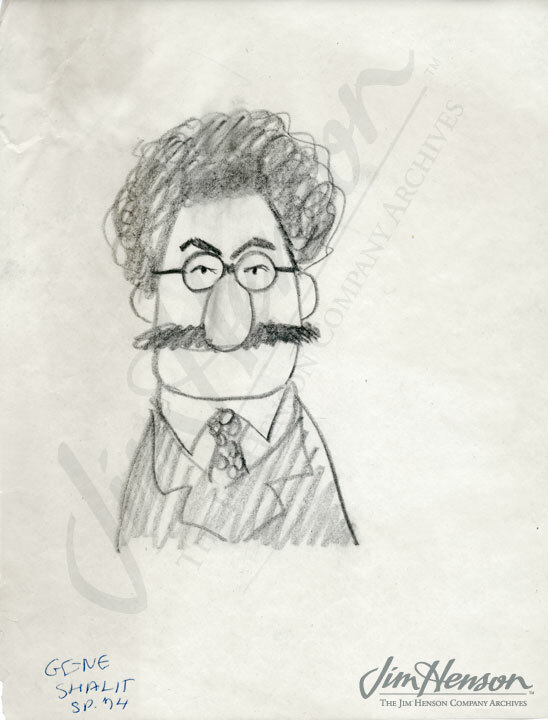 Another Gene Shalit Muppet for Sesame Street at Night?, 1977. This entry was posted in 04-April '74, 1974, Sesame Street and tagged Bert and Ernie, Frank Oz, Gene Shalit, Sesame Street, The Today Show. Bookmark the permalink.